A separation performed on conjoined twin boys in the south-central province of Ninh Thuan grabbed local headlines in late 2013. One of the twins passed away shortly after the surgery, while the other is now a seven-year-old struggling to stay healthy. Nguyen Hoang Phi Long and Nguyen Hoang Phi Phung were born on September 25, 2012 in Ninh Thuan, attached at the chest, pelvis, and heart. When the twins reached 14 months old, their parents decided it was time to attempt the complex, 12-hour surgery in which 70 doctors would separated the pair. Though Phi Long was able to adapt to life post-surgery, Phi Phung passed away just a few months after leaving the operating room. During her 25th week of the pregnancy, Nguyen Hong Lam, the mother of the twins, was told that there was a complication with her pregnancy – the twins were conjoined. Though faced with a difficult decision, Lam chose to continue with the pregnancy, despite the risks. “We were determined not to abort our babies,” she said. A day after birth, Phi Phung began experiencing respiratory distress and the newborns had to be immediately transferred to the Children’s Hospital 2 in Ho Chi Minh City, one of southern Vietnam’s largest pediatric hospitals. While Phi Long was deemed in good health, Phi Phung was diagnosed with hydrocephalus, a dysfunctional right lung, an issue with a suspensory ligament, and several other problems. It wasn’t until a month later that the mother was finally able to travel to Ho Chi Minh city to see her babies for the first time. Though a separation surgery was needed, doctors at the hospital chose to wait 13 more months in order to give the children time become stronger before the long and complicated surgery. Consultations and conferences were held between doctors at the Children’s Hospital 2 and experts from all the world and finally, after 14 months of life, the babies were ready to head to the operation room. 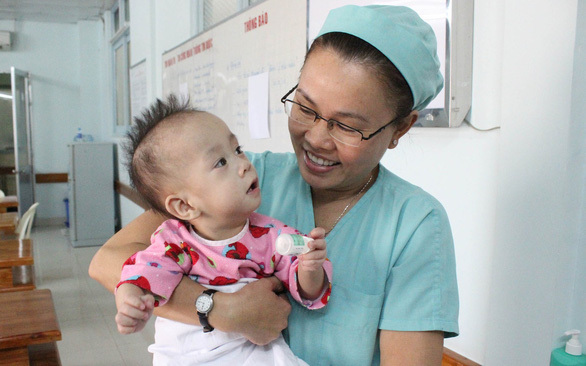 On November 26, 2013 a team of 70 doctors and nurses at Children’s Hospital 2 in Ho Chi Minh City successfully separated the conjoined twins Phi Long and Phi Phung after a 12-hour surgery. Doctor Truong Quang Dinh, then the hospital’s vice director, who directly participated in the surgery, said the surgery was like “looking for a miracle”. Even though the surgery was successful, being separated from Phi Long, the healthier twin, was a struggle for Phi Phung as now he had to generate his nutrients independently instead of getting them from Phi Long as before. In the end, he was unable to adjust to the separation and passed away on February 23, 2014, just a few months after the surgery. In the last moments of Phi Phung’s life, his twin brother turned to him and placed a kiss on his cheek. Only when Phi Phung’s heart stopped beating was his mother able to hold him for the first time. Phi Phung is now rests at a cemetery near the family’s house. But even if he was far away, Phi Long would never forget his brother. “When people ask where Phi Phung is, Phi Long says that his brother passed away,” Lam said. 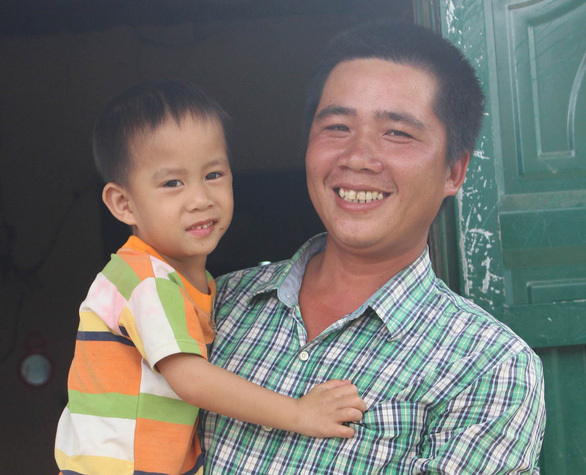 At 17 months old, Phi Long was finally after to leave the hospital for the first time, but the confusion of being a in a new place left him in tears. After nearly a year and half at the Children’s Hospital 2, it had become home. “The doctors warned us to pay attention to the air quality to guarantee the baby’s breathing,” Lam recalled of the struggle to adjust to the family’s new life. “We also had to help Phi Long get used to the difference between day and night because hospital lights are kept on 24 hours a day. We had to keep the lights on at night for him because he would start crying whenever we turned them off,” she continued. Marks of being a conjoined sibling still remain on Phi Long’s body. His head is still slightly tilted to the side after being attached to Phi Long for 14 months and scars still remind on his torso. Lam had to arrange the pillows in a special way so that Long could get used to sleeping on his back and the child spine was bent from spending so long in unhealthy positions while attached to his brother. The most challenging task though, according to Lam, was getting Long to eat. Because he was so used to the milk he was being fed by doctors, he was unable to digest anything else and would throw up every time his mother tried feeding him rice or congee, like most other child at his age eat in Vietnam. “At first I did not know how to feed him because this was my firstborn and for the past 17 months by that time I hadn’t been the one taking care of him,” Lam recalled. To finish eating a spoon of rice would take him 20 minutes. 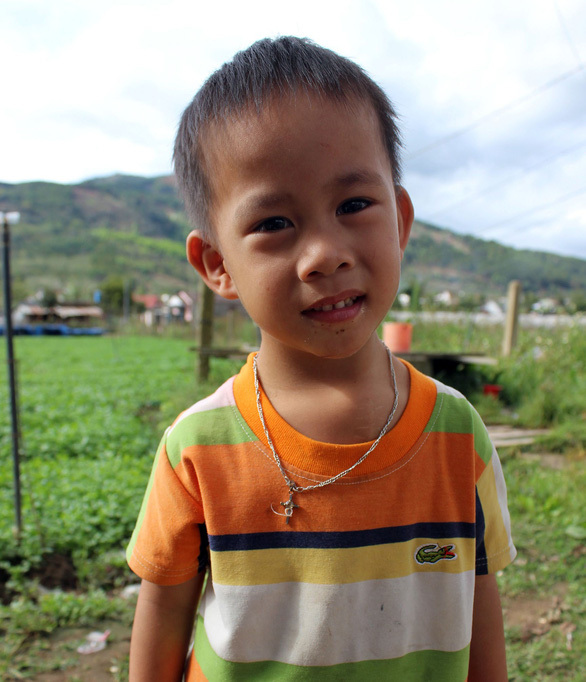 Even now, at the age of seven, Phi Long only eats only a spoon of rice each day and often vomits. He can chew other foods such as fish, meat, and vegetables, but if he swallows he vomits. Since the only thing his body accepts is milk, it is very difficult for Phi Long to grow and gain weight, so at the age of seven, he only weighs 13 kilograms. “I started feeding him cheaper milk when he was over two years old,” the family said adding that even now it is financially challenging for them to properly take care of their son. Now, Phi Long also has a chubby baby sister with the same eyes as her twin brothers.